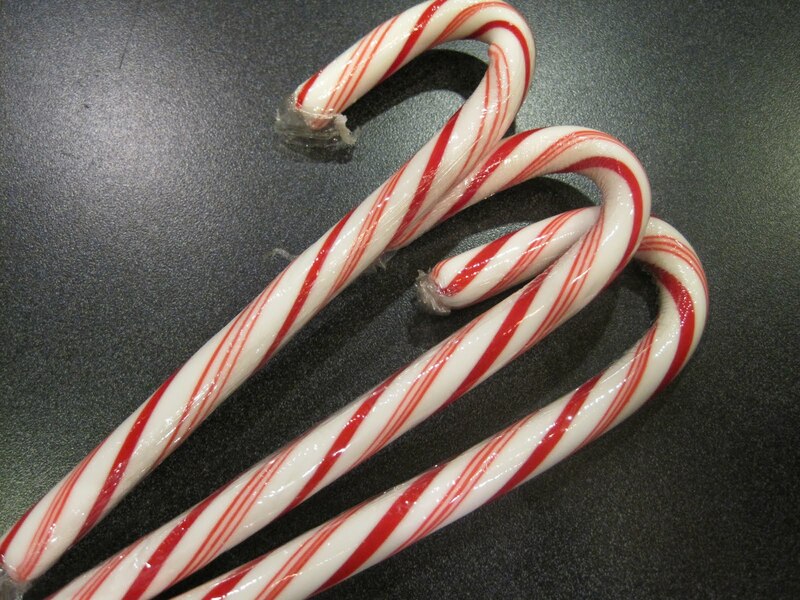 Totally Tikaa: Candy Canes - the best ones! Candy Canes - the best ones! So the picture is not award winning and might not even grab your attention enough to read about the BEST candy canes, but they are made by BOBS. Now the interesting history of the sweet confection, after World War I in 1918 Lt.Bob McCormack decided he wanted to open a candy manufacturing company. Around 1920 BOBS was the every first to wrap candy in a new transparent paper - cellophane. Then in the 1950s BOBS was the first to use machines to automatically make stick candy. BOBS is the largest producer of candy canes, and the yummiest. Another reason I love BOBS, they have the prettiest candy canes, the colors are always consistent and bright, they never look cheap and do not break when you trying to get them out of the wrapper. You can usually find BOBS anywhere candy canes are sold.